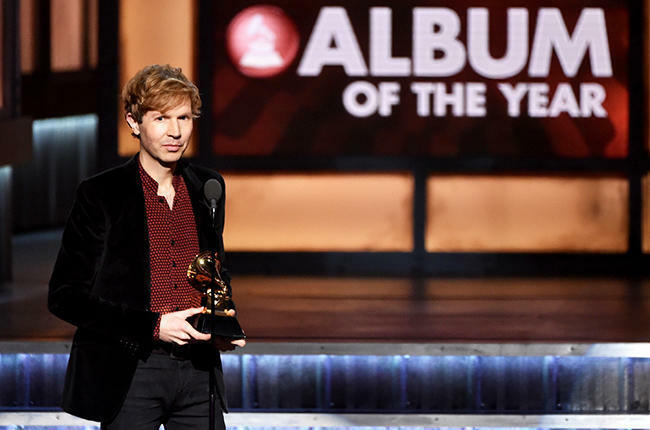 Contrary to the Grammy coverage by numerous sites that claimed Beck’s “Morning Phase” flew under the radar last year, it actually was one of 2014’s best selling rock albums and debuted at #3 on the Billboard 200 upon its release last February. Beck’s second-highest charting album ever, it sold 87,000 copies its opening week. More impressive still, it regularly appeared on the chart through August, proving a commercial staying power rare for a contemporary album without Top 40 radio airplay. (For comparison, both Ray LaMontagne’s wonderful “Supernova” and Foster The People’s “Supermodel” debuted at #3 last year, but fell off the chart after just two weeks; Broken Bells “After the Disco” also spent just two weeks on the chart after debuting at #5; Ryan Adams acclaimed s/t LP debuted at #4 but vanished after 3 weeks; Rise Against “The Black Market” debuted at #3 but was off the chart in 4 weeks.) “Morning Phase” was also one of 2014’s top vinyl sellers. Now, after winning “Album of the Year” and two other Grammys on February 8th, “Morning Phase” returns to the top 10 of the Billboard 200 – almost exactly one year after its release. Because Billboard chart periods run through Sunday nights, “Morning Phase’s” Grammy bump was first evident in last week’s Billboard 200. Grammy night sales alone (which pushed its sales for the week to 12,200 copies) were enough to re-chart it at #39. The new Billboard 200 chart out today – reflecting the first full week following the Grammys – shows “Morning Phase” spiked a huge 483%, landing at #8 on the chart from 71,000 units sold (64,000 in traditional album sales, a 466% percent increase). All told, it’s this week’s “biggest percentage gainer” on the Billboard 200 and the largest percent bump for a Grammy Album of the Year winner this decade! To put this in perspective, Arcade Fire jumped 238% with 41,000 sales after winning the same award in 2011 and Daft Punk spiked 300% with sales of 30,000 last year (see Grammy bump stats below for every Album of the Year of this millenium). “Morning Phase” is also a double chart-topper this week: it’s #1 on both Billboard’s Alternative Album and Rock Album charts. Additionally its total sales, now 376,000, have passed Jack White’s “Lazaretto,” making it the second best selling 2014 rock album (behind The Black Keys “Turn Blue”). Beck appears on this week’s Artist 100 chart for the first time ever, debuting at #17. For those unfamiliar with Billboard charts, the three biggies are the Billboard 200 (for albums of all genres), the Hot 100 (for hit singles) and the Artists 100 (which averages together album and track sales and streams, radio airplay, and social media interaction to approximate the hottest artists’ overall popularity for the week in relationship to each other). For Beck to appear relatively high on two of these three despite no significant airplay is huge! Additionally “Blue Moon” debuts at #8 on the Bubbling Under Hot 100 chart and re-charts on the Hot Rock Songs chart at #12. The latter chart also has two other Beck songs in the top 20, both debuts: “Heart is a Drum” at #15 and and “Morning” at #16. “Blue Moon” also debuts on Billboard’s Rock Streaming Songs chart at #12. Beck has three songs on this week’s Rock Digital Songs chart as well. “Heart Is a Drum” – the song Beck performed with Chris Martin at the Grammys, sparking a 35,000% increase in digital sales on the day of the event and the next day (compared to the same two days in the prior week) – debuts at #18 and “Blue Moon” re-charts at #25. But it’s another Beck song in the top 20 that’s his most downloaded this week: “Loser” at #17. 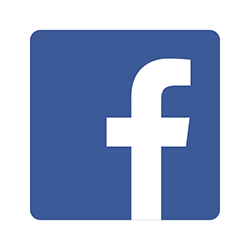 Beck’s social media following too has spiked, Facebook likes increasing over 360% and Twitter followers up 689% from the previous week.